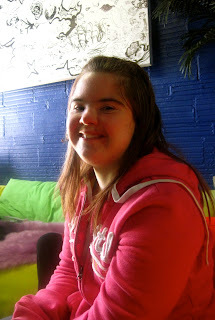 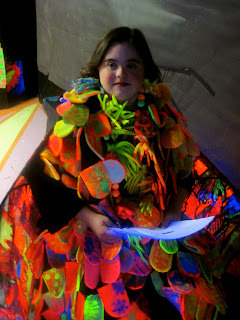 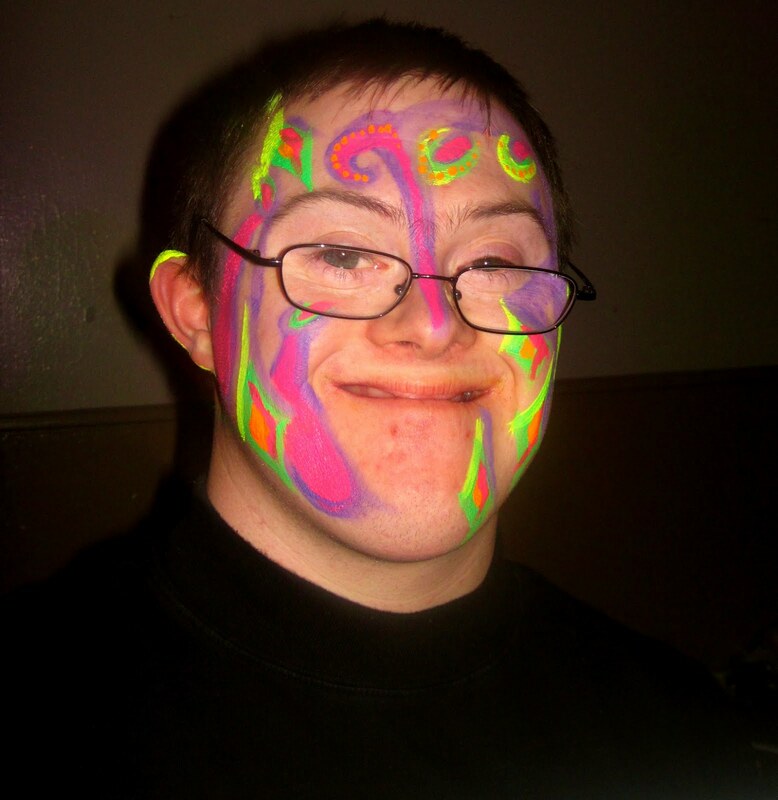 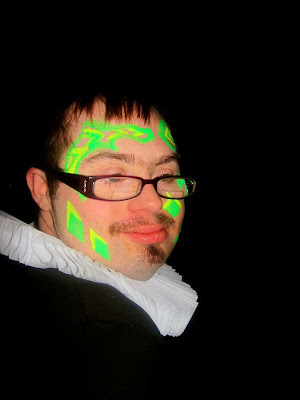 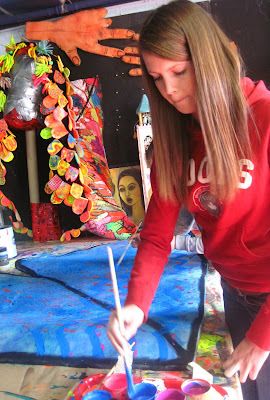 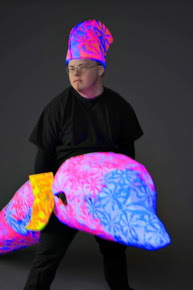 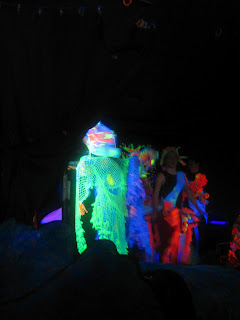 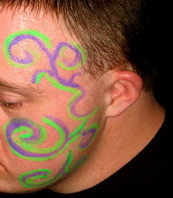 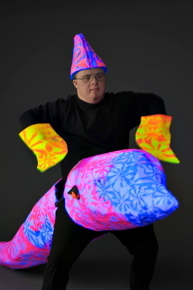 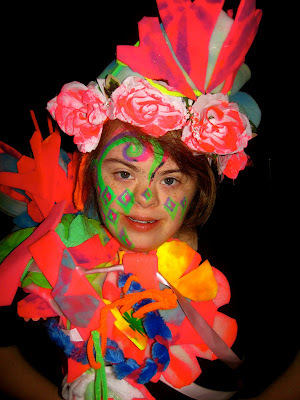 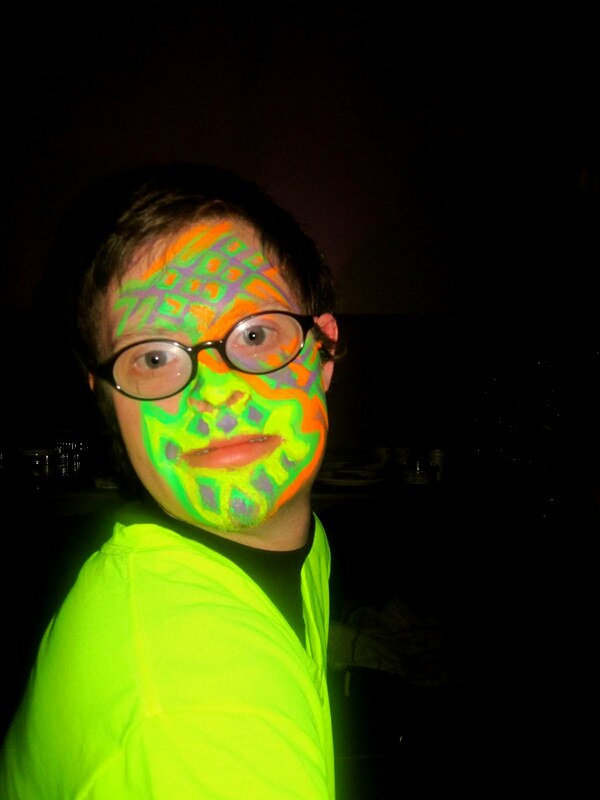 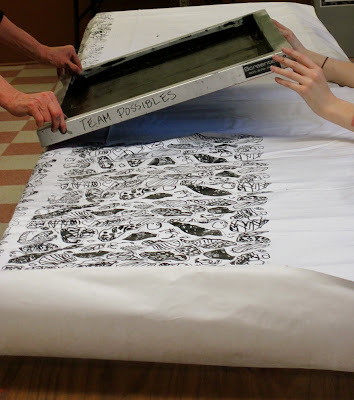 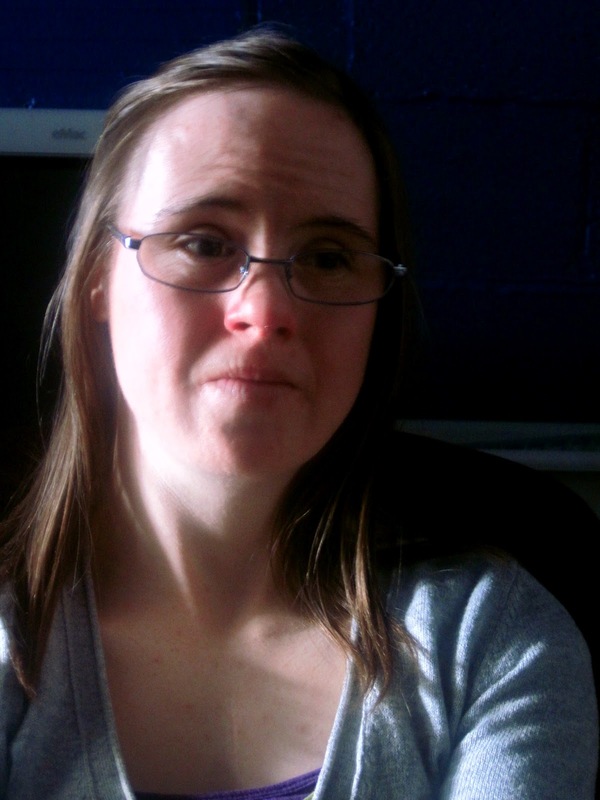 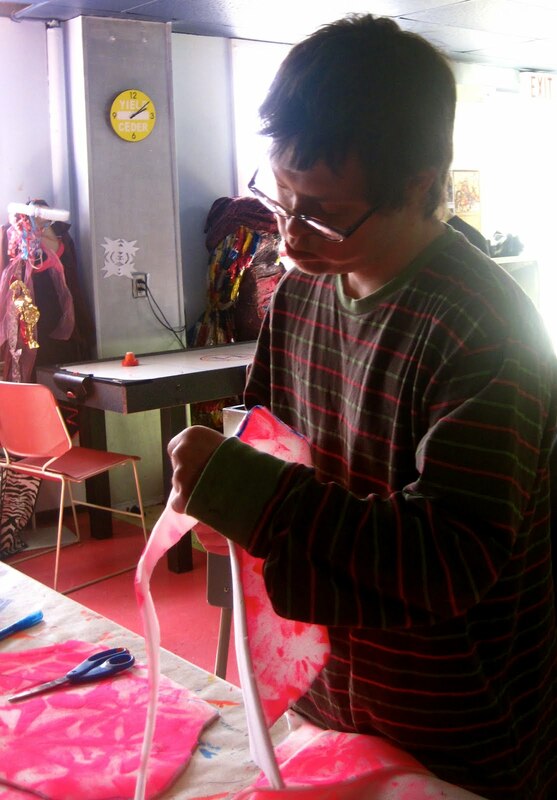 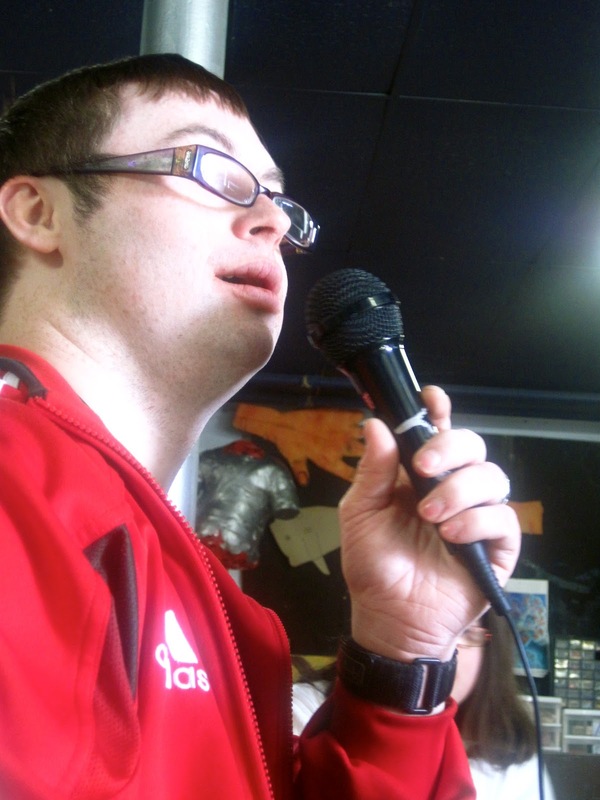 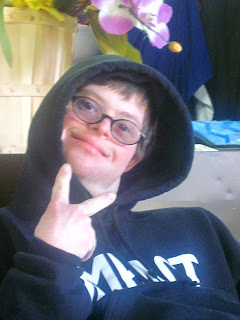 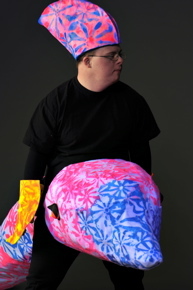 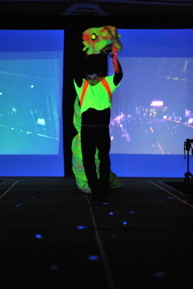 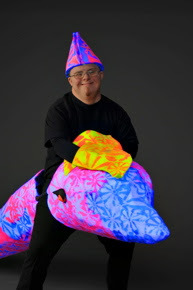 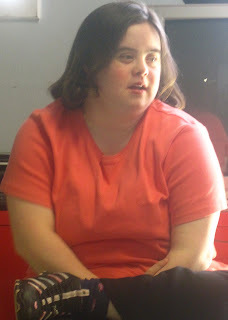 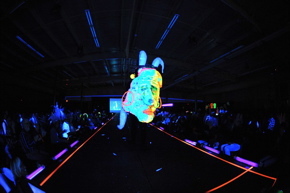 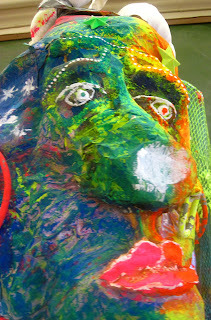 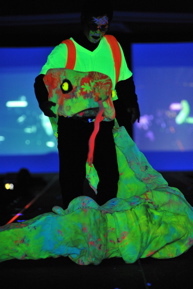 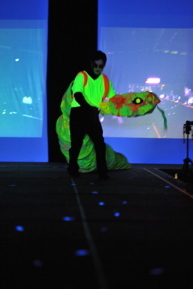 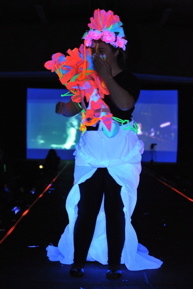 Fall 2011; This term the Team Possibles will create neon wearable art, puppet costumes, and silkscreened neon t-shirts. 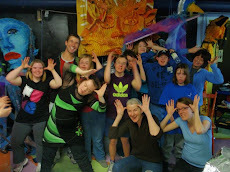 Their work will be featured in performances and events this year, including: Walk With Friends, Nocturne Nautilus Ballet, Christmas Variety Show, a final Zumba Performance, and always a few surprises! 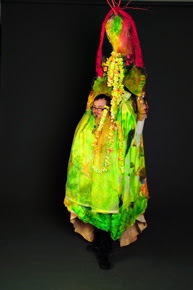 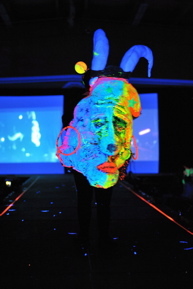 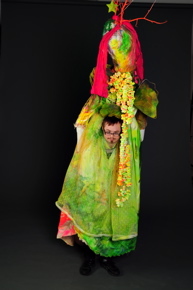 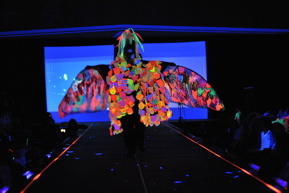 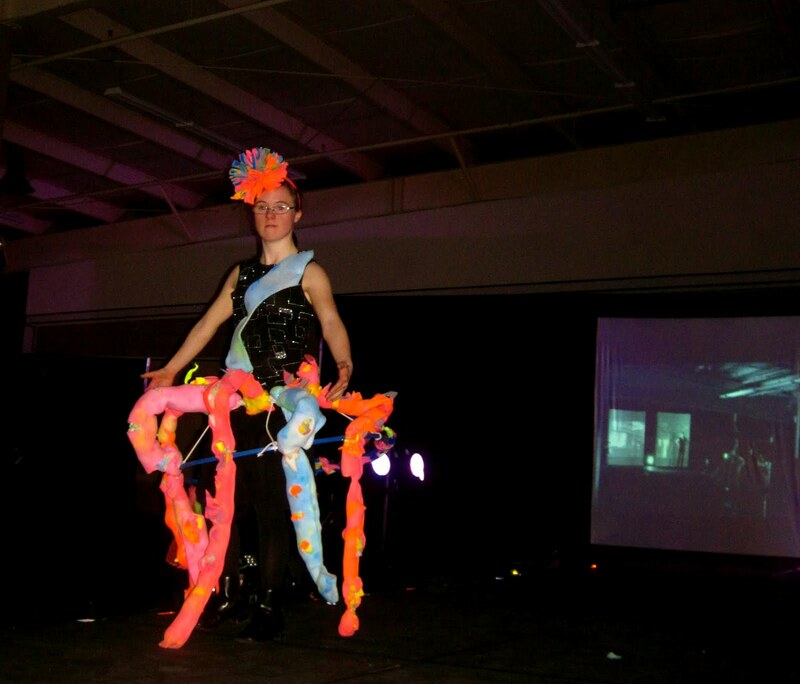 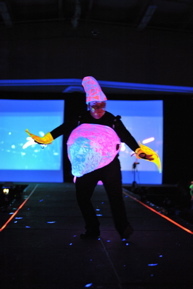 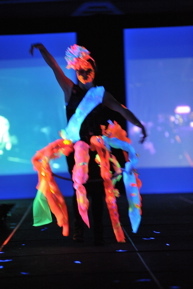 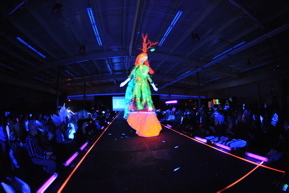 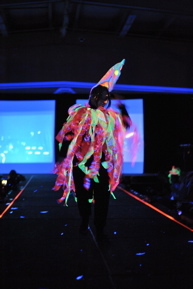 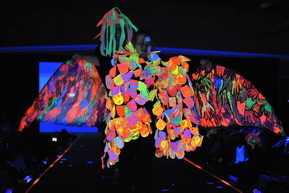 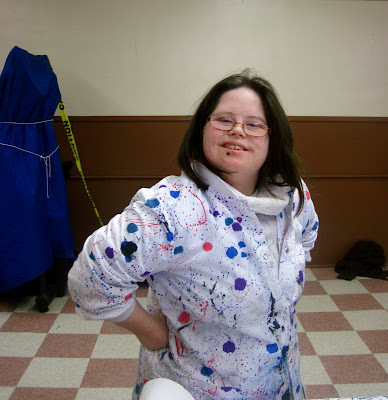 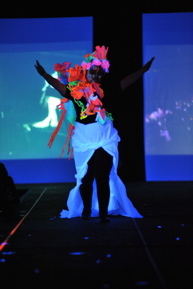 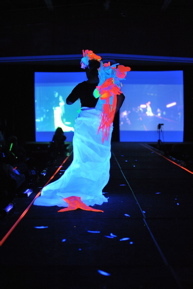 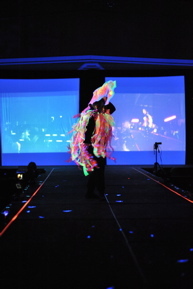 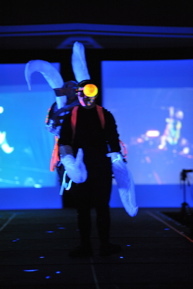 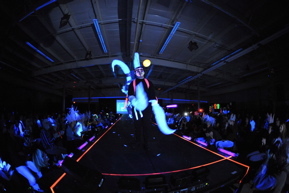 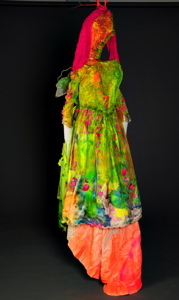 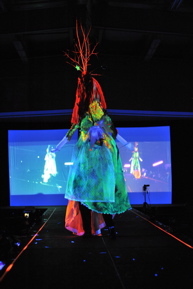 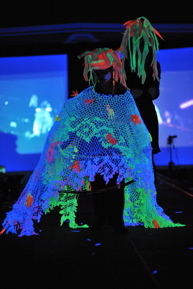 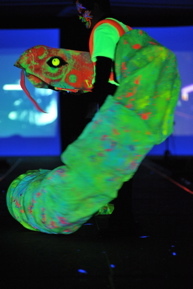 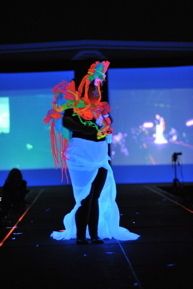 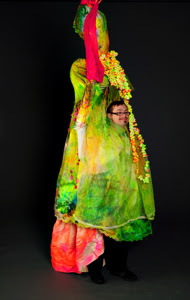 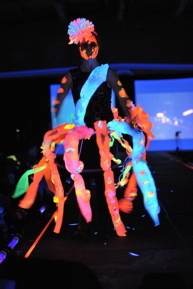 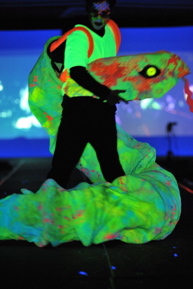 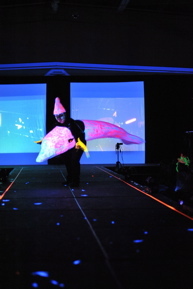 Winter 2012 Term includes creating a collection of Wearable Art: ZAP SEA, and participating in NSCAD's 21st Wearable Art Show at the Halifax Forum. 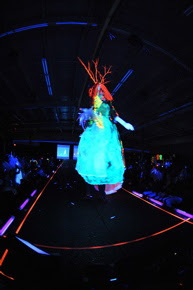 The Winter term will conclude with a black light tableau of Jills Poem: Under The Sea, and an in-house wearable art show accompanied by David Ewers composition for the Zap Sea Collection. 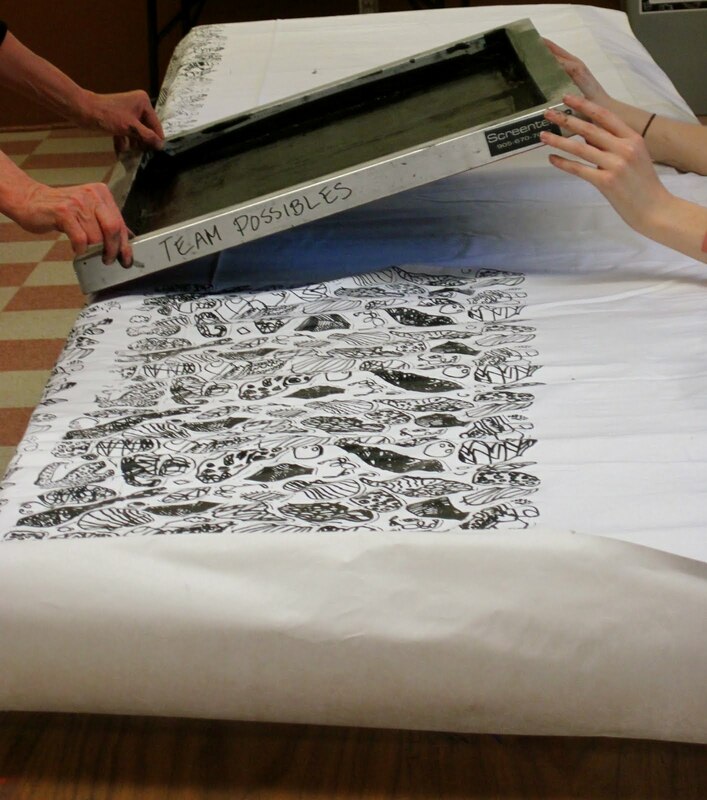 Special thanks to: David Ewer, Diana Higgs, Dylan Fish, Clara Congdon, Elliott Mussett, & Mandai Mohan, and all the parents, Team, and volunteers. 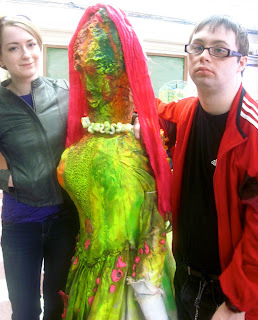 TEAM @ NSCAD's 21st WEARABLE ART SHOW. 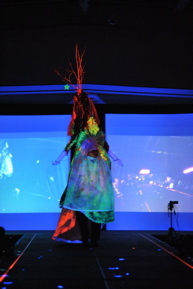 Photos by: Alex Chisholm. 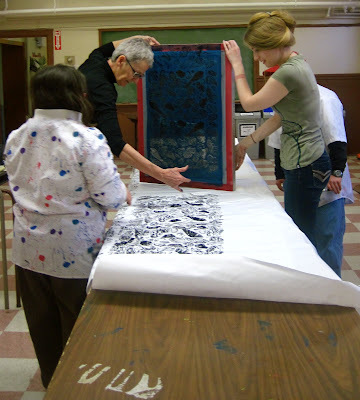 To see older posts: go to the bottom black bar (above) & hover over the far right end until you see OLDER POSTS Appear- click on it to see all the posts from last september onwards: Projects include: The Nautilus Mosaic for the Supreme Court House, the Nautilus Ballet, the Christmas story dance performance, the Valentine photo booth, and all the Team work that went into the NSCAD Wearable Art show.